Unrivalled comfort for your passengers. Peace-of-mind for you. GROHE sanitary fittings offer a range of water and energy efficient solutions that enable you to create luxurious en-suite bathrooms, while reducing your running costs. From new builds to refurbishment and single product replacement, we offer an extensive range of fittings suitable for all areas of your ship. Luxurious all-enveloping head showers, precision-engineered thermostats packed with a host of safety features, and state-of-the-art infrared electronic faucets – whatever your preferred interior style or budget, we have the solution. Passenger comfort is your priority. GROHE faucets and fittings are designed to be intuitive to use and deliver maximum user comfort. From the most luxurious suites and spa facilities to crew areas and restrooms we offer a range of products to complement all areas onboard your ship. 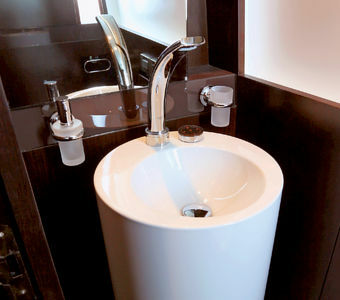 Your passengers expect a certain level of comfort in the shower and when using the basin. But you want to keep water consumption as low as possible. You might think that it’s a bit like trying to mix oil and water. But it’s not. Basin faucets with a flow restricting mousseur, so they’ll never use more than 5.8 l/min. GROHE Ecojoy™ hand and head showers feature a restricted flow of either 5.8 or 9.4 l/min. Several models offer additional features such as EcoButtons and Spray Dimmers. Shower thermostats feature an EcoButton to reduce the flow by up to 50%. when it’s needed, while our self-closing shower faucets are ideal for poolside showers. At all your ports of call. We operate in 170 countries, so no matter where in the world you are, you’re never far from a GROHE project specialist. 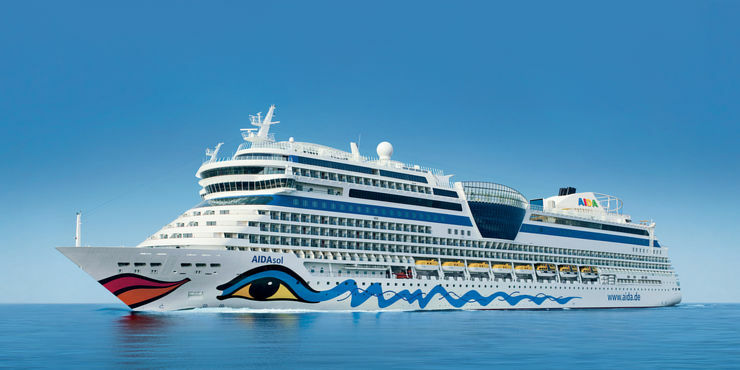 Our global project team includes several experts who understand the unique needs of the cruise ship industry. Our service, short delivery lead-times and continuous support will exceed your expectations. 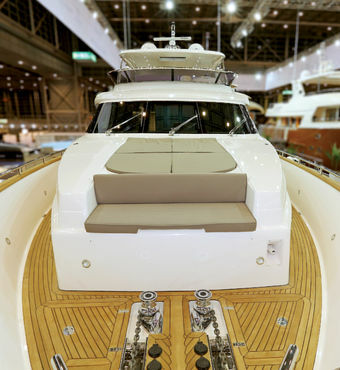 We offer on-board installation and maintenance training during the interior fit out of your ship. From higher faucet bodies to a different surface finish, GROHE Project+ is an additional service that enables you to customize our products to meet your on-board requirements. If you have something specific in mind, don’t be afraid to ask. Fast to install, easy to clean and effortless to maintain. From product installation to daily care and maintenance we’ve made things as simple as possible – saving time during the interior fit-out of your ship and precious minutes every day for your housekeeping crew.